Dulci Girls was formed in 2005 when Emily joined Dizzi to become a Hammered Dulcimer Duet. Dizzi & Emily recorded their first acoustic Hammered Dulcimer Duet Album 'Dulci Duo' in 2009. The Album features 11 tracks that comprise of both original pieces, and popular covers. The Youtube video below is an example of the music that is featured on the Dulci Duo Album. CLICK HERE to purchase the Dulci Duo Album. More recently Dizzi & Emily have been joined by 2 of their friends and fellow Dulcimer players, Francesca LaFae & Barbara J Hunt who are both available to play when the Dulci Girls Trio Set is booked. Dulci Trio's first Album features 11 songs with a renaissance feel. 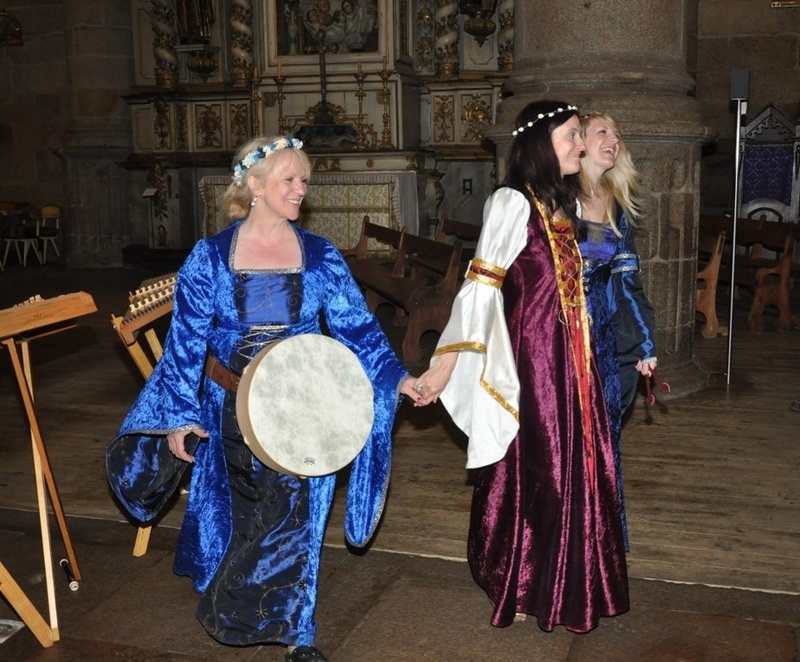 Played by Dizzi Dulcimer, Emily Edwards and Francesca LaFae.